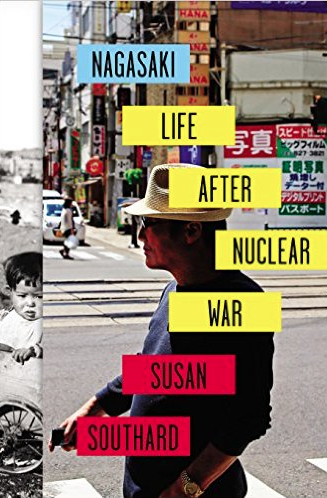 Nagasaki: Life after Nuclear War, by Susan Southard ’78, has been awarded the J. Anthony Lukas Book Prize, administered by the Columbia University School of Journalism and Harvard University’s Nieman Foundation for Journalism. One of three annual Lukas Prizes honoring the best in American nonfiction writing, the Book Prize is given to a book exemplifying “the literary grace, commitment to serious research, and the social concern that characterized the distinguished work of the award’s namesake, J. Anthony Lukas.” The prize comes with a $10,000 award. Guy Geyer Marcus ’13 has won the Leroy Apker award for the American Physical Society, the highest prize offered in the United States for an undergraduate thesis in physics. 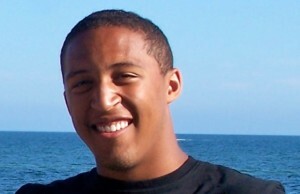 Marcus is the second Wesleyan student to win the prize in three years; Wade Hsu ’10 also claimed the prestigious award. In 2008, Gim Seng Ng ’08 was a finalist for the Apker. “This achievement naturally highlights the quality and seriousness of our undergraduates and our undergraduate program,” said Physics Department Chair Brian Stewart. Marcus’ Wesleyan advisor was Greg Voth, associate professor of physics. He also received a Goldwater Honorable Mention award and a Wickham Scholarship for his research in 2011. Dr. Henri Lamothe ’80, MD, CMSL, received the Dr. Gary Ogden Rural Health Practitioner of the Year from the New York State Association for Rural Health. As the medical director of 22 emergency medical service (EMS) agencies in Allegany and Cattaraugus counties, Dr. Lamothe ensures that the EMS providers he represents have the skills and training they need to provide emergency medical care. 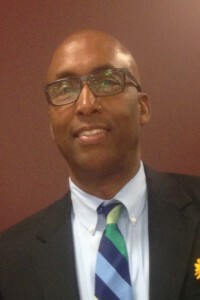 Lamothe, who majored in chemistry at Wesleyan, earned his medical degree from University of Connecticut School of Medicine in 1986. 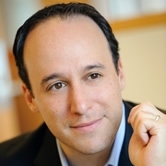 Josh Goldin ’00, co-founder of Alliance Consumer Growth, a New York-based private equity fund, was chosen by Forbes as one of the 25 “CircleUp Kingmakers” for his work as an investor in emerging consumer and retail companies. Forbes contributor Ryan Caldbeck described the 25 Kingmakers as “men and women whose names repeatedly arise in conversations with industry experts and consumer companies large and small… connectors, brilliant thinkers, visionaries and retailers and investors-extraordinaire.” Others on the list include Mickey Drexler, CEO of J. Crew; John Foraker, CEO of Annie’s Natural Foods; and Betsy Foster, Global VP of Whole Foods. In describing Goldin, Caldbeck notes his passion for helping entrepreneurial companies “reach their full potential,” adding that Goldin’s firm has “developed a stellar reputation for identifying rising star brands early on, providing growth capital, and using its strong industry network and brand-building expertise to help partner companies grow and thrive.” Alliance Consumer Growth has invested in companies such as Shake Shack, Krave Jerky, Evol Foods, BabyGanics and Kriser’s Pets. A French Studies major at Wesleyan, Goldin earned his master’s degree in business administration from Harvard. He and his wife, Jessica Ruthizer Goldin ’00, executive director of marketing at Clinique, live in New York City with their two children. Joshua Horwitz ’91, a student at Wilkes University’s graduate creative writing program was awarded the 2013 Beverly Blakeslee Hiscox ’58 Scholarship. 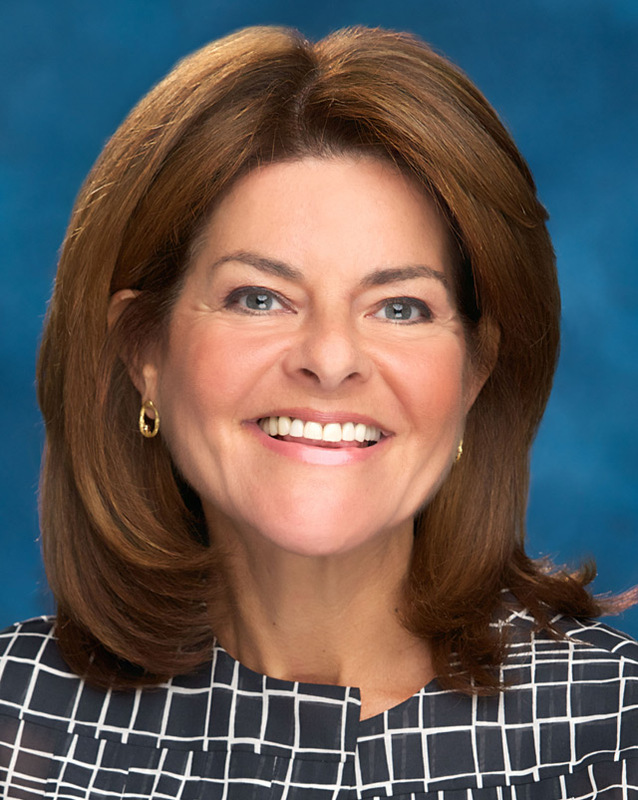 The scholarship was established by Hiscox’s children to honor their mother’s service to Wilkes University as a trustee from 1986-2003, and first preference is given to a non-traditional student with family responsibilities. Horwitz is pursuing his master of arts in creative nonfiction, studying memoir under his mentor Beverly Donofrio ’78, author of Riding In Cars With Boys (1992) and, most recently, Astonished: A Story of Evil, Blessings, Grace, and Solace (2013). Horwitz’s work-in-progress, titled Once Upon a Mania, explores a week-long sleepless manic episode he entered while completing his senior thesis at Wesleyan which then exploded into bipolar disorder. The book follows his descent into mental illness, homelessness, and his ensuing healing process. Paul Dickson ’61 is the winner of the fifth annual Jerome Holtzman Award for his 2012 book, Bill Veeck: Baseball’s Greatest Maverick. The book, collecting information and accounts from primary sources and over one hundred interviews, is an in-depth portrait of a baseball innovator, two-time White Sox owner and advocate of racial equality. As owner of the Cleveland Indians, Veeck in 1947 signed Larry Doby, the first black player in the American League. Dickson is most recently the author of Words from the White House: Words and Phrases Coined or Popularized by America’s Presidents, the first compilation of new words and lexical curiosities originating from 1600 Pennsylvania Avenue. With definitions, etymology, and brief essays, each entry provides a glance at the history of the United States through the language used and invented in the past 200 years. For more on Paul Dickson’s book on Bill Veeck see this past Wesleyan Connection story. Jonathan Kalb ’81 is the recipient of two national awards for his recent book, Great Lengths: Seven Works of Marathon Theater, published by The University of Michigan Press. 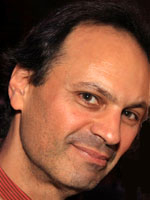 Kalb, professor of theater at Hunter College and doctoral faculty member at The City University of New York, won the George Jean Nathan Award for dramatic criticism and the Theatre Library Association’s George Freedley Memorial Award. 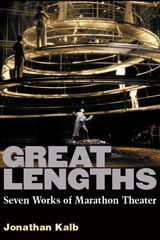 Great Lengths takes a close look at large-scale theater productions, often running more than five hours in length, which present special challenges to the artists and audiences. Recreating the experience of seeing the works, which include Tony Kushner’s Angels in America and the Royal Shakespeare Company’s Nicholas Nickleby, the book is aimed at general readers as well as theater specialists. The Nathan Award is awarded annually by a jury of the English Department heads of Cornell, Princeton and Yale Universities, given for an outstanding work of criticism dealing with current or past dramatic productions. Kalb shares the 2011–12 award with Puppy: An Essay on Uncanny Life by Kenneth Gross. 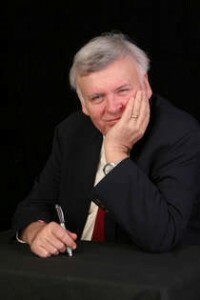 Kalb previously won the Nathan Award in 1990–91 for his first book, Beckett in Performance, as well as articles and reviews he published in The Village Voice. The Freedley Award was established in 1968 to honor a book of exceptional scholarship that examines some aspect of live theatre or performance. 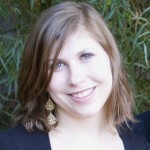 Zully Adler ’11 was nominated for the Marshall Scholarship by Wesleyan’s International Scholarships Committee. 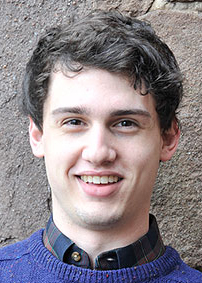 History major Solomon “Zully” Adler ’11 has been named a Marshall Scholar for 2013-14, an honor that will allow him to study toward a graduate degree at a British university. He is Wesleyan’s eighth Marshall Scholar, and the first since 1996. The Marshall Scholarship was founded in 1953 in honor of U.S. Secretary of State George C. Marshall to commemorate the humane ideals of the Marshall Plan (the American program to help European economies rebuild after the end of World War II). Each year, up to 40 intellectually distinguished young American scholars are selected to receive full financing of a graduate degree at a U.K. institution in any field of study. More information on the program is available here. Adler was nominated for the Marshall Scholarship by Wesleyan’s International Scholarships Committee, and President Michael S. Roth signed a letter of institutional endorsement. Professor of Art David Schorr and Adler’s thesis advisor, Jennifer Tucker, associate professor of history and science in society, wrote letters of recommendation for him. According to Tucker, the History Department awarded Adler the Dutcher Prize in recognition of his outstanding performance as a history major. Adler’s excellent honors thesis, “‘I Belong to Every Country’: John James Audubon and the Multivalence of National Identity,” received high honors in the History Department with a grade of A+, and has drawn attention from scholars of the history of science and art. Adler’s studies in the U.K. will begin in Fall 2013. The Marshall Scholarship is granted before applicants are officially accepted by the individual universities. Adler’s preference is to first earn a one-year Master of Studies in Art History and Visual Culture at Oxford University. There, he intends to write a short dissertation on William Morris, the Kelmscott Press, and the nexus of independent print and commercial reproduction in the late 19th century. 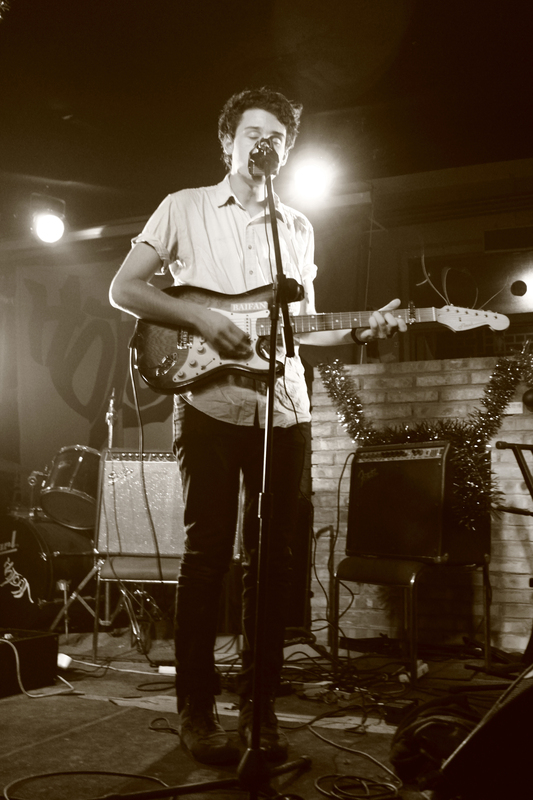 In his second year, he hopes to study at the Glasgow School of Art and earn a Master of Research in Creative Practices. This program explores how academic research informs studio practice/creative production. 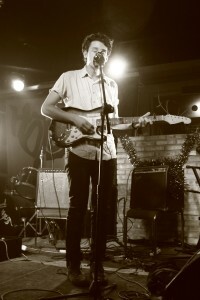 Zully Adler performs with Suweiai Bopu (Soviet Pop) in Beijing, China during his Watson Fellowship in January. Ultimately, Adler says, these programs will prepare him to earn a Ph.D. in History. He plans to pursue an academic post that will allow him to study Modernism in Visual Culture and teach history in a hands-on manner. “If everything goes my way, I will be able to fold curatorial and editorial practice into my academic work,” he says. “My work included collaborating on new releases of local music, organizing collaborative concerts, and recording with various musicians. I took part in several panel discussions on new approaches to independent music,” Adler says. 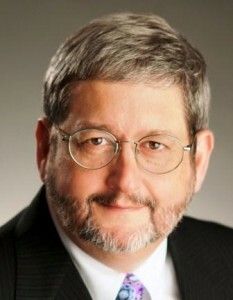 Jason Baron ’77, director of Litigation at the U.S. National Archives and Records Administration, is the 2011 recipient of the Emmett Leahy Award for Outstanding Contributions to the Information and Records Management Profession. Baron is the first federal lawyer, and only the second lawyer, to receive this international award in its 40-year history. The Emmett Leahy Award Committee announced that for over two decades, Baron’s leadership efforts have promoted an awareness of the importance of good records management to the legal profession. He has served as co-chair and editor-in-chief of three publications by The Sedona Conference©, a nonprofit research and educational institute dedicated to the study of various fields related to complex litigation, including e-discovery. He is the author of more than 40 articles on electronic records issues, and has made more than 300 presentations on related subjects at conferences and workshops throughout the United States and the world. Baron, a 1980 graduate of Boston University School of Law, also recently received the 2012 D.C. Public Service Award from his law school for his 32-year career in the federal government. Prior to his position at NARA, Baron was a trial lawyer and senior counsel at the Department of Justice, where he served as lead counsel on landmark litigation involving the preservation of White House email. Baron helped found the TREC Legal Track, an international research project run by the National Institute of Standards and Technology, evaluating search methods used by lawyers, as well as the DESI Workshop Series, an international forum for academics and lawyers to discuss e-discovery, information retrieval, and artificial intelligence. Currently, Baron serves on the Adjunct Faculty of the University of Maryland’s College of Information Studies, where he co-taught the first e-discovery course to Ph.D and Masters candidates in the United States. He presently also serves on the Board of Directors of ARMA International, and is a member of the advisory board for the Georgetown Law Center Advanced E-Discovery Institute. During his time at Wesleyan, Baron double majored in government and English, where, apropos of his future career, he was awarded honors for his government thesis on the subject of privacy issues associated with a database of electronic records maintained by the FBI. Are you a Wesleyan alumnus? For more alumni stories, photo albums, videos, features and more, visit Wesconnect, the website for Wesleyan alumni. Stephanie Schwartz ’08 has been named as someone who “mobilizes people in the foreign policy community with bold new ideas,” as part of the publication’s project, together with the nonprofit Young Professionals in Foreign Policy, to name the top 99 leaders under the age of 33. Schwartz, who holds a B.A. in government from Wesleyan, is the author of Agents of Change: Youth in Post-Conflict Reconstruction. The book examines the role of a young population in Mozambique, the Democratic Republic of the Congo, and Kosovo and how domestic policy, NGO programs, international invention and culture play into the reconstruction process. As a senior program specialist for the U.S. Institute of Peace, Schwartz headed the Youth and Peacebuilding Working Group. She also worked as a consultant to the Sudd Institute, a South Sudanese think thank. 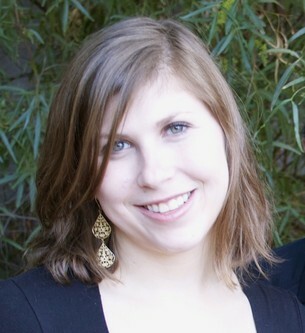 Currently a Ph.D. candidate in political science at Columbia University, Schwartz is focusing her research on international mediation and diaspora’s role in civil wars. 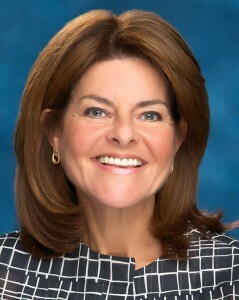 Amy Schulman ’82, Pfizer’s executive vice president and general counsel, president of Pfizer Nutrition and business unit lead for Pfizer Consumer Healthcare, received a 2012 Margaret Brent Women Lawyers of Achievement Award, given annually by the American Bar Association Commission on Women in the Profession. Schulman, whose grandfather was the first public-housing commissioner in New York and later served as a federal judge, was also the daughter of two attorneys. She noted that she chose the legal profession out of a desire to help others, and made atypical decisions throughout her career that have led to success. “I’ve come to realize that although I don’t think of myself in conventional terms as a risk taker, I actually am, at least professionally,” she says. She had initially joined Piper Marbury, a relatively unknown firm when she was only two years shy of becoming a partner at another firm. Now Piper Marbury is the well-known international firm DLA Piper, where she was the first woman to serve on the firm’s global board and its U.S. executive committee. Another professional risk took her to join Pfizer, Inc., the global pharmaceutical company, as the general counsel in 2008. In 2010, in addition to her role as general counsel, she became president and general manager of Pfizer Nutrition — a $2.1-billion global business. Schulman serves as executive sponsor of Pfizer’s Global Women’s Council, which helps increase diversity and expand opportunities for both women and men across the company.